"On the twelfth day of Christmas, my true love sent to me, Twelve Drummers Drumming . . . " We all know this fabulous and familiar holiday song "The Twelve Days of Christmas"; with each verse describing a grand gift given by "my true love" on one of the twelve days of Christmas. The magic of Christmas! A time to spread cheer, reconnect with family and friends, and to create memories and traditions for years to come. Stitch and create your own holiday keepsake. Twelve individual blocks in the collection; one for each of the twelve days. 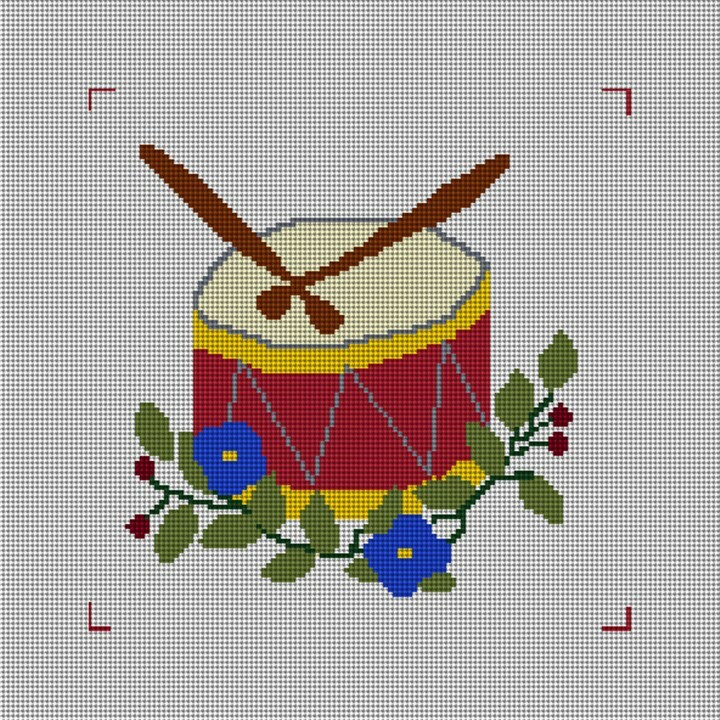 This listing is for "Twelve Drummers Drumming" as block number twelve. A great project for the beginner or expert alike. Every block is the perfect size, not so overwhelming, and makes for a great "on the go" project.